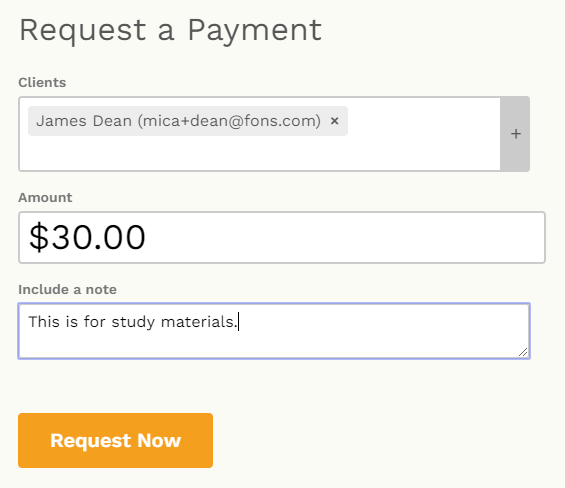 Invoicing One Time Payment for tuition, supplies, missed payments or anything you need to bill for. 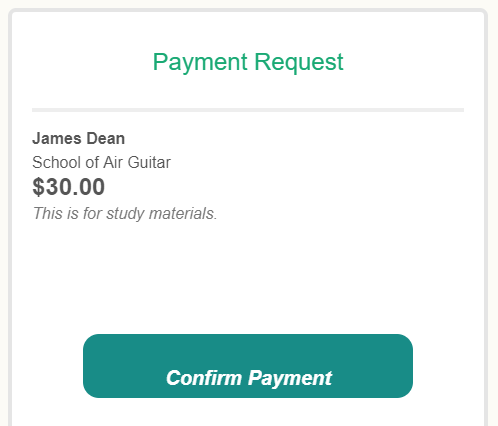 If you need to send an invoice not related to an appointment for registration fees, supplies, tuition or even missed appointment payments just use our Payment Request Feature. Click "Request Payment" at the right and select "onetime payment"
Click the "request Now" button. Your client will receive an email to confirm the payment, once confirmed, it will then charge their credit card or ach payment method registered in their account. See below the email your client will receive.